Boston Red Sox starting pitcher David Price throws against the Houston Astros during the first inning in Game 5 of the American League Championship Series on Thursday in Houston. 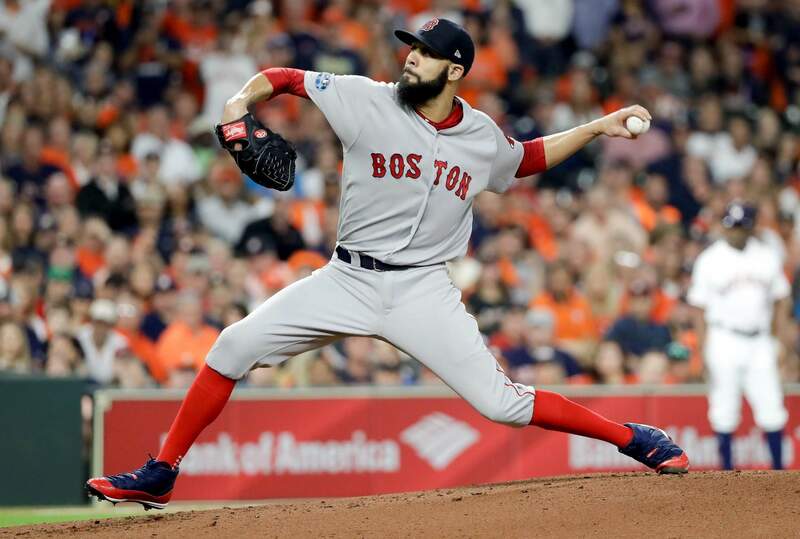 The Red Sox advanced to the World Series with a 4-1 victory over the Astros. The Boston Red Sox celebrates after winning Game 5 of the American League Championship Series against the Houston Astros on Thursday in Houston. 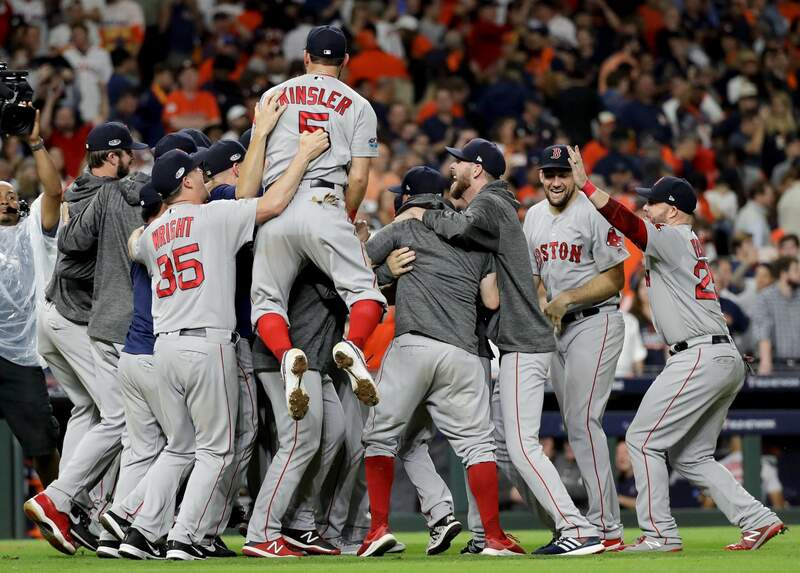 Rafael Devers hit a three-run homer as the Red Sox stunned Justin Verlander and the Astros in Game 5 of the AL Championship Series to win the best-of-seven set 4-1, a perfect 43rd birthday present for rookie manager Alex Cora. After dropping the opener at home, Boston took four straight – including three in a row at Minute Maid Park to improve to 5-0 on the road in these playoffs. Left fielder Andrew Benintendi caught a long fly for the last out – not nearly as dramatic as his game-saving diving grab the previous night. Even so, it set off an enthusiastic celebration for the Red Sox, who gathered to pose for pictures in the middle of the diamond.